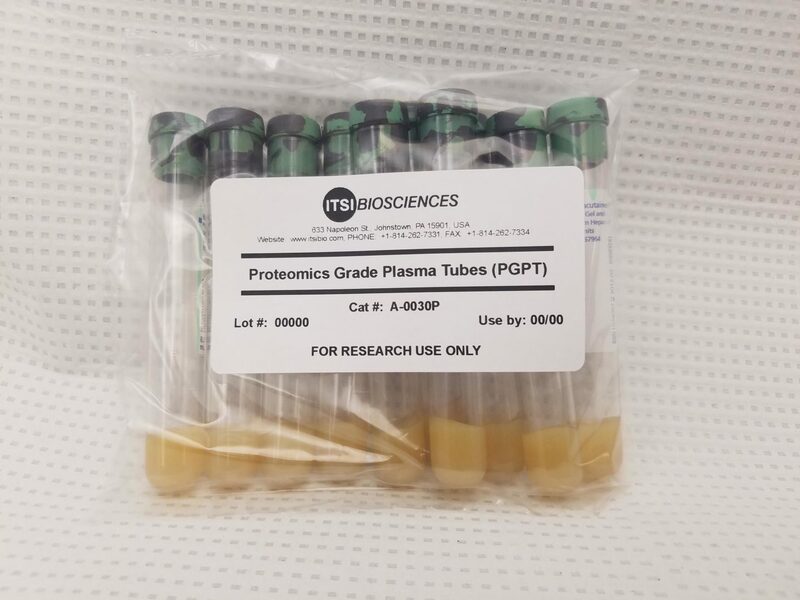 This Proteomics Grade Plasma Tube (PGPT) is specifically developed for collection of plasma specimens. PGPT contains Gel, Lithium Heparin and five-protease inhibitors with specificity for the inhibition of serine, cysteine, aspartic proteases and aminopeptidases. PGPT reagents instantly inactivate proteases thereby preventing changes in the proteome attributable to ex-vivo protease activity. The plasma samples can be analyzed by mass spectrometry, SDS-PAGE, 2D-DIGE and Western blotting. 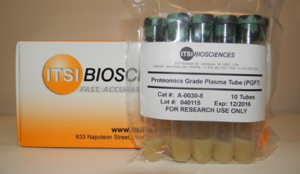 -Provides accurate, representative and reproducible results due to instant stabilization of plasma proteins at the point-of-collection. -Elimination of sample to sample variation and better confidence from knowing that the difference in protein abundance detected between samples is not due to ex-vivo protease activity. -Saves time by eliminating the need to pre-mix or transfer plasma from regular collection tubes.